Whether you’ve only just upgraded to Windows 10 or you’ve already been using it for years, you probably have unanswered questions. Although Windows 10 continues to improve and add new features 9 New Settings Features in the Windows 10 Fall Creators Update 9 New Settings Features in the Windows 10 Fall Creators Update Does the Settings app seem to change every time you use it? We'll show you the most important features you may have missed since the last Windows 10 update! Read More , the user experience still leaves much to be desired. How Do I System Restore in Windows 10? How Do I Factory Reset in Windows 10? How Do I Change My Windows 10 Password? How Do I Uninstall Programs in Windows 10? How Do I Take a Screenshot in Windows 10? How Do I Enable Bluetooth in Windows 10? How Do I Find My Windows 10 Product Key? How Do I Update Windows 10? How Do I Speed Up Windows 10? How Do I Get Help in Windows 10? Search for recovery and select Recovery options. Scroll down to the section labelled Advanced startup. A quicker way to do this is to open the Start Menu, click the Power icon, then click Restart while holding the Shift key. On the next menu, press the key for Enable Safe Mode. Wait for the system to restart again. Now you should be in Safe Mode. Look at the bottom left of the screen and you’ll see the words “Safe Mode,” which confirms that it was successful. Search for restore and select Create a restore point. Under Restore Settings, select Turn on system protection. Under Disk Space Usage, adjust how much disk space you want to dedicate for storing restore points. We recommend at least 1GB. Follow the wizard, select the restore point you want to use when prompted, then keep going through the rest of the wizard. 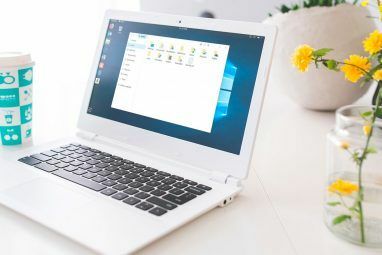 Learn more in our guide to using System Restore in Windows 10 How to Factory Reset Windows 10 or Use System Restore How to Factory Reset Windows 10 or Use System Restore Learn how System Restore and Factory Reset can help you survive any Windows 10 disasters and recover your system. Read More . Scroll down to the section labeled Reset this PC. To refresh Windows 10, click Keep my files. To reset Windows 10, click Remove everything. When prompted, review the list of apps that will be removed during this process, and if you’re okay with it, click Next. Learn more about the differences between Refresh and Reset in Windows 10 The One Reason to Reset or Refresh Windows 10: Clutter The One Reason to Reset or Refresh Windows 10: Clutter When Windows 10 feels sluggish, you can blame various forms of clutter. You can get Windows up to speed by using Reset or Refresh it. We explain the difference and how to use it. Read More . Not only are these options useful for troubleshooting issues and boosting performance, but they can help you eliminate clutter and reclaim disk space The One Reason to Reset or Refresh Windows 10: Clutter The One Reason to Reset or Refresh Windows 10: Clutter When Windows 10 feels sluggish, you can blame various forms of clutter. You can get Windows up to speed by using Reset or Refresh it. We explain the difference and how to use it. Read More . Search for password and select Change your password. Scroll down to the section labeled Password. When prompted, confirm your current password. When prompted, enter your new desired password and hint. When prompted, confirm the last four digits of the phone number tied to your Microsoft account. Wait for the SMS code, then enter the code. When prompted, confirm your current password and then type in your new desired password twice. Search for apps and select Apps & features. Scroll down and click on the app you want to uninstall. Repeat for all undesired apps and programs. The Print Screen key (sometimes abbreviated as PrtScr) captures the entire screen and saves it to the clipboard. You can then paste it into an image editor like Paint, GIMP, or Photoshop and then save it as an actual image file. Use the Alt + Print Screen keyboard shortcut to only capture the currently focused window instead. 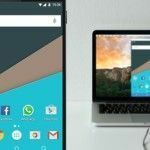 An alternative to this is the Windows key + Shift + S keyboard shortcut, which allows you to capture a specific region of the screen and save it to the clipboard. The Snipping Tool is a utility app that’s built into Windows. You can launch it by opening the Start Menu and searching for snipping tool. It’s fairly easy and straightforward to use, but you can learn all of its secrets in our article on making the most of the Snipping Tool 9 Nifty Snipping Tool Shortcuts for Screenshots in Windows 9 Nifty Snipping Tool Shortcuts for Screenshots in Windows The Snipping Tool is often overlooked, but with its keyboard shortcuts, you'll be able to take screenshots in Windows more conveniently than ever before. Read More . Search for bluetooth and select Bluetooth and other devices settings. At the top, find the Bluetooth option and toggle it to On. Open the Action Center with the Windows key + A keyboard shortcut. Click the Bluetooth icon to toggle it on. If you don’t see the Bluetooth icon, see our guide to customizing the Action Center How to Customize & Disable the Windows 10 Action Center How to Customize & Disable the Windows 10 Action Center The Windows 10 Action Center is a tool for power users. It collects all your important notifications and key system shortcuts in the Taskbar. We'll show you how to configure your Action Center to perfection. Read More so you can add the Bluetooth icon. You can also take this time to remove unnecessary Action Center shortcuts to relieve some of the clutter. Microsoft doesn’t make it easy to find your Windows 10 product key. Fortunately, there’s a free third-party app that will dig it up for you in no time. It’s called ProduKey. Download the ZIP version of ProduKey. Extract the ZIP file using 7-Zip, WinZip, or whatever other tool you use. Look for Windows 10 (or a variant) in the Product Name column. The Product Key column next to it is your product key. Right-click and select Save Selected Items to save the product key to a text file. Otherwise, select Copy Product Key to save the product key to the clipboard. Windows product keys have always been pretty confusing, but it’s gotten worse since the release of Windows 10. Learn what you need to know in our guide to Windows product keys Everything You Should Know About Windows Product Keys Everything You Should Know About Windows Product Keys 25 characters govern your Windows system. Your product key is worth $100 or more, whether or not you upgraded to Windows 10. We explain what you can and can't do with your Windows license. Read More . Search for updates and select Check for updates. Under Update status, click the Check for updates button. 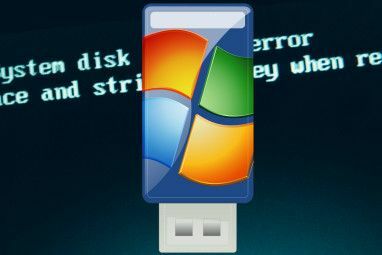 If updates are available, Windows will automatically begin downloading them and applying them, and then prompt you to restart your computer when finished. On rare occasions, Windows Update can cause your system to malfunction or lose personal data, so we highly recommend taking these steps before initiating a Windows update Do This Before Every Windows 10 Update or Installation Do This Before Every Windows 10 Update or Installation Windows 10 gets major updates twice a year, plus monthly updates. We show you what you should do before running Windows Update. Now Patch Tuesday can come! Read More . 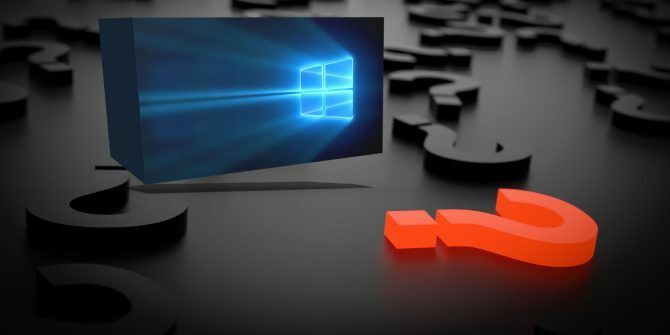 Furthermore, if Windows Update isn’t working properly, see our tips for resolving Windows Update problems How to Resolve Windows Update Problems in 5 Easy Steps How to Resolve Windows Update Problems in 5 Easy Steps Has Windows Update failed you? Maybe the download got stuck or the update refused to install. We'll show you how to fix the most common issues with Windows Update in Windows 10. Read More . Windows 10 is optimized for the lowest common denominator, sacrificing absolute performance in favor of convenience features that most users will probably use. Unfortunately, the out-of-the-box configuration for Windows 10 can be pretty slow. Individual instructions are beyond the scope of this article, but they are available in our articles on fixing slow startup in Windows 10 6 Tips to Fix Slow Boot Times in Windows 10 6 Tips to Fix Slow Boot Times in Windows 10 If your Windows 10 boot time is slow, you aren't alone. We've compiled the most common solutions to help you fix this issue fast. Read More , knowing what you can safely disable on startup Make Windows Start Faster: 10 Non-Essential Startup Items You Can Safely Remove Make Windows Start Faster: 10 Non-Essential Startup Items You Can Safely Remove So your computer has been booting slowly lately? You probably have too many programs and services trying to start up all at once. Are you wondering how they got there and how to remove them? Read More , speeding up Windows 10’s overall performance How to Speed Up Windows 10 From Boot to Shut Down How to Speed Up Windows 10 From Boot to Shut Down Registry tweaks and ominous cleaners rarely fix a slow computer. We have compiled a list of tried-and-true methods that will give your Windows 10 computer an instant performance boost. Read More . If you need better performance for gaming, check out our tips for boosting game performance in Windows 10 How to Optimize Windows 10 for Gaming and Performance How to Optimize Windows 10 for Gaming and Performance Are you gaming on Windows 10? You can optimize Windows 10 for gaming with Game Mode and other tips and tweaks. We show you how. Read More . If you’ve come this far and still have unanswered questions, your best bet is to consult Microsoft’s official source of help and support for Windows 10 users. If Cortana is enabled on your system, you can just type a question into the search box to get results from Microsoft, Cortana, and the overall web. Unfortunately, Cortana is only available in certain regions. The Virtual Agent is like an online chat support that’s completely automated. It’ll feel like you’re speaking to someone on the other end, but it’s literally just a bot. You can ask for help on whatever topic you want as long as you phrase it as a question, and the Virtual Agent will reply with relevant Microsoft articles. Search for help and select Get Help. The Tips App is an offline knowledgebase full of helpful tips and tricks that’ll introduce you to all kinds of nifty Windows 10 features you had no idea existed. Many consider it the “missing manual” that Windows has always needed but never had. And conveniently, every tip links you to relevant settings so you can change them as encountered with zero effort. Search for tips and select Tips. How do you like using Windows 10? Do you have any unanswered questions you simply can’t find answers to? Let us know in the comments below! Explore more about: Bluetooth, Microsoft Cortana, Password, Screenshots, System Restore, Windows 10, Windows Update. Oh pls getting into Safe Mode through desktop is easy. How about make an article "getting into Safe Mode from BIOS without being able to access desktop".